Make every drink taste like freedom. 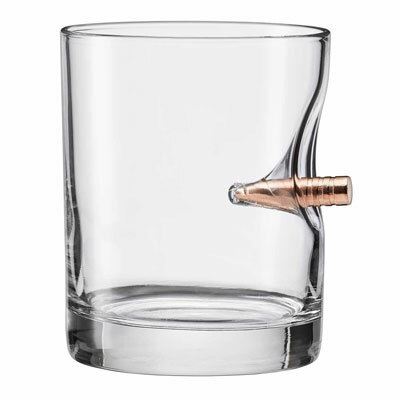 The original 11oz "Bulletproof" rocks glass from the father and son team at BenShot. This rocks glass is embedded with a real bullet. Select your bullet of choice from the options below. Glass is high-quality, heavy, and handcrafted in our glass workshop in Wisconsin. We take pride in each glass we make.